Do you need to send your passport for visa applications or other purposes? maybe include a secure prepaid envelope for return? We’ll handle everything for you! Easy, fast and secure! We send passports almost every day and we’ve made our service as easy as possible for you. 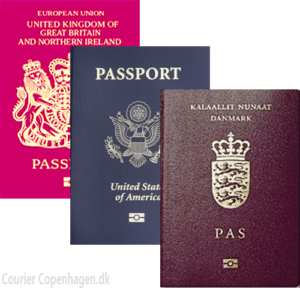 Just bring your passport and the address you need to send to our office at Gammel Kongevej 163, 1850 Frederiksberg C Actually we already have address details to several common embassys and Visa aplications services. in our system, but please bring the correct address just to be sure. Its common that e.g. VISA application services need you to include a prepaid return envelope. We’ll handle that for you as well. The passport can either be returned to our address and we contact you when it’s ready for pickup or it can, of course, be delivered directly to your address. It’s up to you! Important documents as passports should only be send via courier companies with security as highest priority. 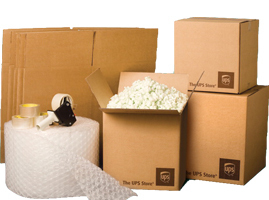 We only send important documents in special Fedex, DHL or UPS sealed envelopes and make sure your passport is handled with care. From your passport leaves our location it stays in the sealed envelope and by the same courier until it reaches the recipient. With the detailed tracking systems provides by our partners, you’ll always know exactly how far underway your passport is. We’ll send you tracking information to your email address and the system will provide you with real-time access to the status of your shipment. We look forward to help you ship your passport!